The GS F, the performance edition of the GS sedan, is due this year. DETROIT -- Lexus, quickly narrowing the U.S. sales gap with BMW and Mercedes-Benz, will have its busiest product year since the brand's inception, with as many as nine new or tweaked models, including a key redesign, three midcycle refreshes, new turbocharged options and a special edition in 2015. The blitz comes as Lexus targets a 9 percent sales jump to a record 340,000 vehicles and a shot at regaining the U.S. luxury crown it relinquished four years ago. The rollout is crucial to keeping the brand fresh and winning coveted younger customers, said Jeff Bracken, general manager for Toyota Motor Corp.'s luxury marque. Most Lexus executives, publicly at least, disavow any intention of playing the numbers game against the German giants. That has been a no-no since the 2010 Toyota recall crisis, when President Akio Toyoda blamed the company's quality problems partly on unbridled growth. But Bracken, a little brasher and bolder, concedes that being No. 1 is still part of his mission in the U.S., Lexus' biggest market, where it reigned as the top-selling luxury brand for 11 years before the 2011 earthquake and tsunami in Japan broadsided production and sales. 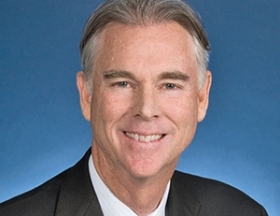 "If I did not want to resecure that luxury leadership position, then my boss probably put the wrong person in this job," Bracken said at last month's Detroit auto show. "It's important. No question about it," he said. Bracken says Lexus sales should climb to a record 340,000 vehicles this calendar year. That would surpass the peak of 329,177 that Lexus hit in 2007, before the economic crisis and Japanese disasters knocked it off stride. For its next big leap, Lexus will do as the Germans do: Expand the lineup with more iterations of existing nameplates, including hybrids, sporty trims and high-performance variants. This year, as many as nine updates will debut, including the GS F performance edition of the GS sedan, unveiled at the Detroit auto show. That will be followed by a redesign of the brand's No. 1 nameplate, the RX crossover, and midcycle changes for the GS and ES sedans and LX SUV. Lexus also will deploy its turbocharged 2.0-liter engine to other nameplates beyond the NX compact crossover, which last year was the first Lexus to get a turbo powerplant. "That is the greatest introduction of fresh product in our 26-year history. That's a lot," Bracken said. "We were able to make up tremendous ground. ... The risk is how we keep ourselves fresh and competitive in such a new-product-oriented industry in the luxury segment." The F Sport line and the F-series high-performance models are a critical component of Lexus' growth plan. The benefits are twofold: F Sport and F editions are higher-priced, and they help attract younger buyers. And that addresses two critical weaknesses for the Lexus brand: an older customer base and weak average transaction prices relative to its competitors. Bracken said F Sport owners are five to 12 years younger than non-F Sport counterparts. "We're hoping this strategy brings us younger buyers," he said. "That's the endgame." Indeed, half of all IS sales are F Sports. And last year, one in four Lexus buyers chose the F Sport package on models where it was available, Bracken said. Lexus would need a lot more of those sales to move the age needle significantly. The average age of a Lexus buyer is still 60, Bracken notes. 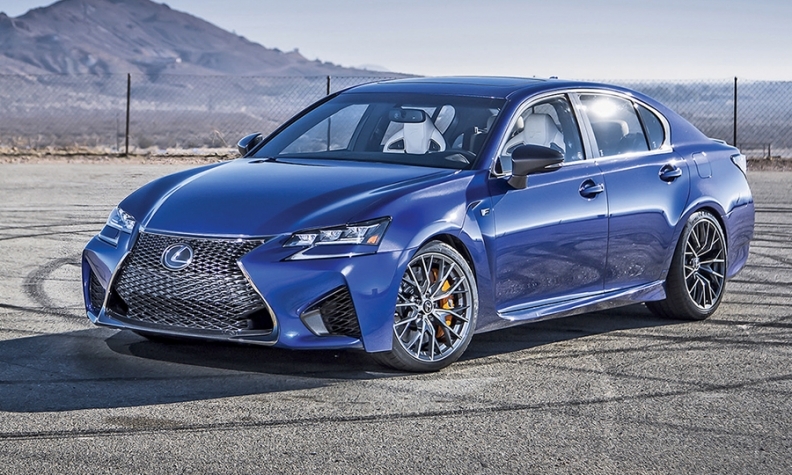 And analysts caution that Lexus' F line is going up against some well-established competition in Mercedes-Benz's AMG and BMW's M line. "The F franchise is still relatively new," said Matt DeLorenzo, managing editor for Kelley Blue Book's KBB.com. "It will take time for Lexus to build a following." But that's OK with Bracken's boss, Mark Templin, executive vice president of Lexus International -- especially if the expansion comes in high-margin vehicles. Templin reiterated that the CT hatchback, which starts at about $33,000 with shipping, is as downmarket as the Lexus brand will go. It doesn't need to parry German offerings such as the Mercedes GLA or BMW 1 series with sub-$30,000 alternatives, he said, because it has a feeder brand in Toyota that its German rivals lack. Moreover, Lexus is compelled to hold the line partly because its average transaction price still trails its competitors'. In December, Lexus' average transaction price rose 2.4 percent from a year earlier to $47,719, according to Kelley Blue Book. BMW's average stood nearly unchanged at $51,916, while Mercedes-Benz boasted a 5.1 percent increase to $58,477. "We have no plans to go downmarket," Templin said. "Nice, slow, methodical growth -- that's way better for us. Sales, share and profit should be the result of doing the right things, not the goal."